Between managing my new facebook page, making videos, blogging, and driving all the time, I find it pretty easy to keep myself busy on the road. In my first installment of "Why I Started a Truck Driving Blog," I told you that one of the biggest reasons I do what I do is to help new drivers get adjusted to life on the road. The first year in a truck driving job is almost always a trucker's toughest. A new driver has to get used to life on the road and the lifestyle that comes with it, all while being away from home. I've been there before, and I love to help people in any way I can. Trucking is not an easy thing to do, and it's definitely not for the faint of heart; but, I've found that it is perhaps the most rewarding career anyone could have. I've worked many different types of jobs, all that gave me great work and life experience, but nothing compares to my truck driving job. However, my reason for blogging, making videos, running facebook pages, and more doesn't stop there. There's a whole lot more to it actually. So in the second installment of this blog series, I would like to tell you about yet another reason I do what I do. Thinking About a Career In Truck Driving? 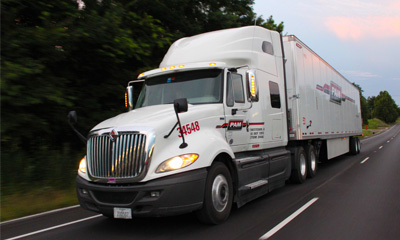 If you're considering a career in truck driving, look no further! Driver Solutions can help connect you with a company that will not only pay for your training, but will also have a job waiting for you once you successfully complete truck driving school. Find a current job opening in an area near you by clicking below! I've blogged about my ideas on how to fix the truck driver shortage before, and I want to reiterate that I really think many new drivers never give truck driving the chance it deserves. Many don't make it through their first year for various reasons. What they don't realize is that they're quitting on it before the adventure really starts. The first year is the toughest in truck driving, just like the start of any other career is. The shortage can't be blamed on just any one factor. There are some companies out there that don't seem to care about or put put any effort towards retaining their employees. This, understandably, can oftentimes turn drivers away from trucking altogether. However, a few companies don't represent the majority of the industry. There are a lot of great carrier companies out there that really do care about their drivers. Wayne got his start in trucking by going through the Driver Solutions company paid CDL training program back in 2012. Since then, he has traveled over 300,000 safe miles and counting! After seeing his photos and reading about his adventures, we knew we had to share them on our blog. Join Wayne on his journey for a first hand look at life on the road!